One of the things I often forget is what my students’ fine motor skills are like at the beginning of the year. Students grow and develop in so many ways throughout the year. When I am back to square one with a new class, it can be a little overwhelming when there are so many other things I am trying to teach, too. You know those nitty gritty details like how to line up, where to put homework folders, restroom protocols, and beginning of the year testing. Add in a few students who do not know how to hold a pencil correctly or whose handwriting looks like hieroglyphics and you may be reaching for Tylenol or chocolate. 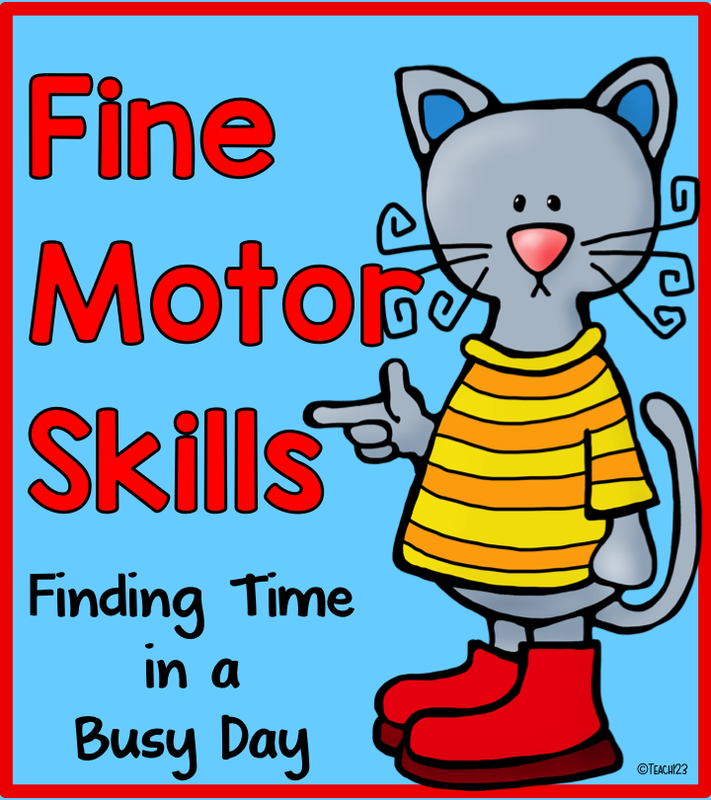 Sometimes you may have a hectic schedule and have trouble finding time to add fine-motor skills activities to your day. I have a few ideas you can try to squeeze in. Clothes pins are good for strengthening the pincer grasp. Put on some music and let your students open and close the clothes pins to the sound of music. Use a variety of sizes because the clothes pins are easier and harder to open depending on the size. The large blue on in the picture is Boca beach towel clip. It is used to clip your towel to a chair. It works great for this, too. I did this activity one year when I was teaching at a school that was filled to capacity that needed more restrooms. We were told not to take group restroom breaks. So, how do you get your class ready for lunch? I put on catchy, quick-paced phonics songs and gave my students clothes pins. My students practiced their reading skills and fine-motor skills while they were waiting their turn to go to the restroom. Two boys and two girls at a time went to the restroom. When a student returned from the restroom, students who had not had a turn raised their hand. Boys who went to the restroom chose boys to go next and girls chose girls to go next. This system ended up working much better for me than group restroom breaks. Since there were only 2 boys and 2 girls, they went quickly and quietly. The rest of my class was working on something productive. After I moved to a school that allowed group restroom breaks, I kept this same system because I liked it so much. 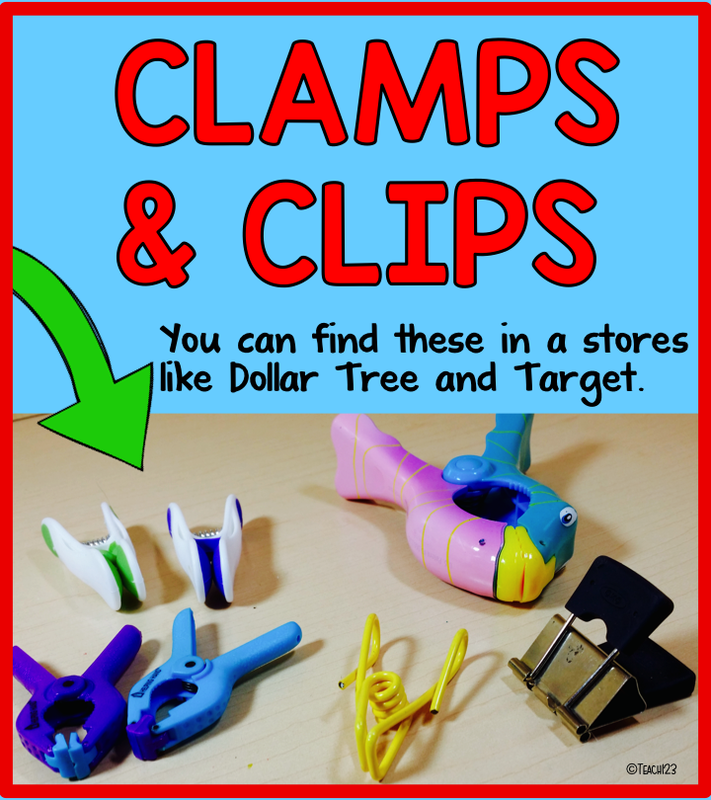 After you have used clothes pins for a while and your students are ready for a challenge, try clamps and clips. You can find them in many different stores. The white ones and yellow one in the picture are from Dollar Tree. The pink and blue one is another Boca beach towel clip that I bought at Target. If your dad or husband is a handyman, you can see if they have any clamps that they would be willing to donate. Do you incorporate brain breaks with your day? 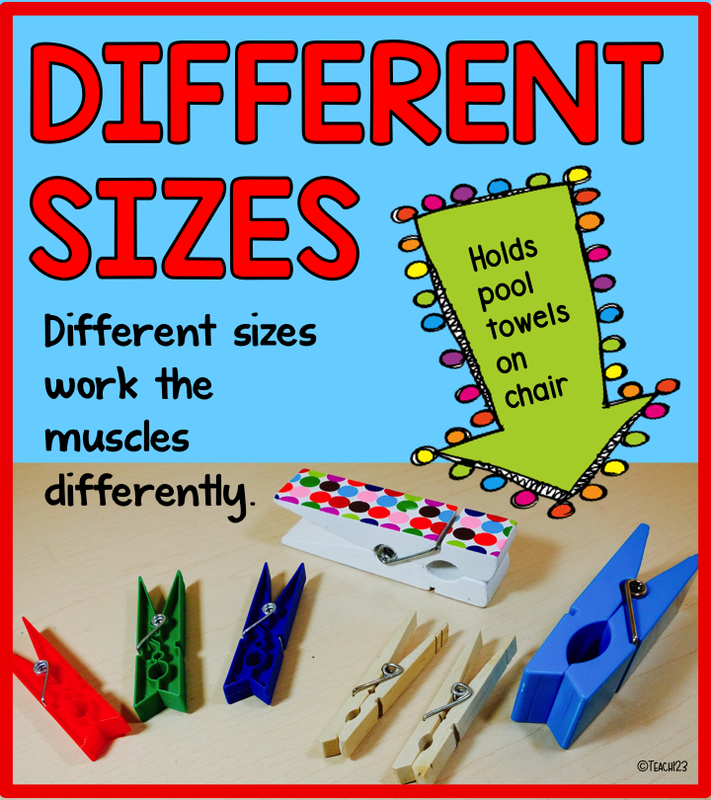 You can add a fine-motor component to your brain break. 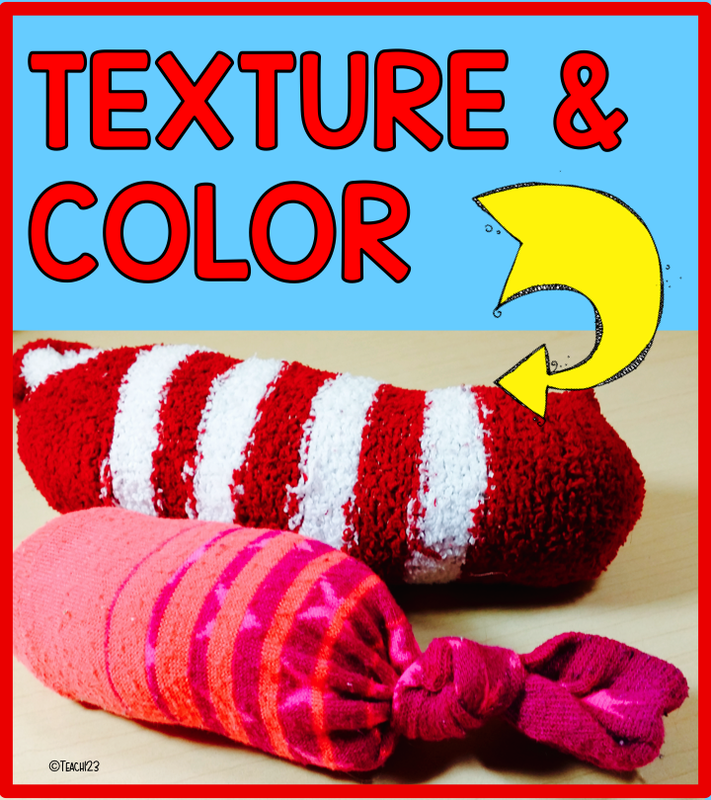 I stuffed socks with plastic grocery sacks. Students can squeeze and work their hand muscles with the socks while they dance and get their wiggles out. Your students will love it if you use a variety of colors and textures. Great way to repurpose all of those socks that have a missing mate. Look around your garage and see what you can find. A small paint roller has a fun texture and would be great thing to squeeze to sound of music. 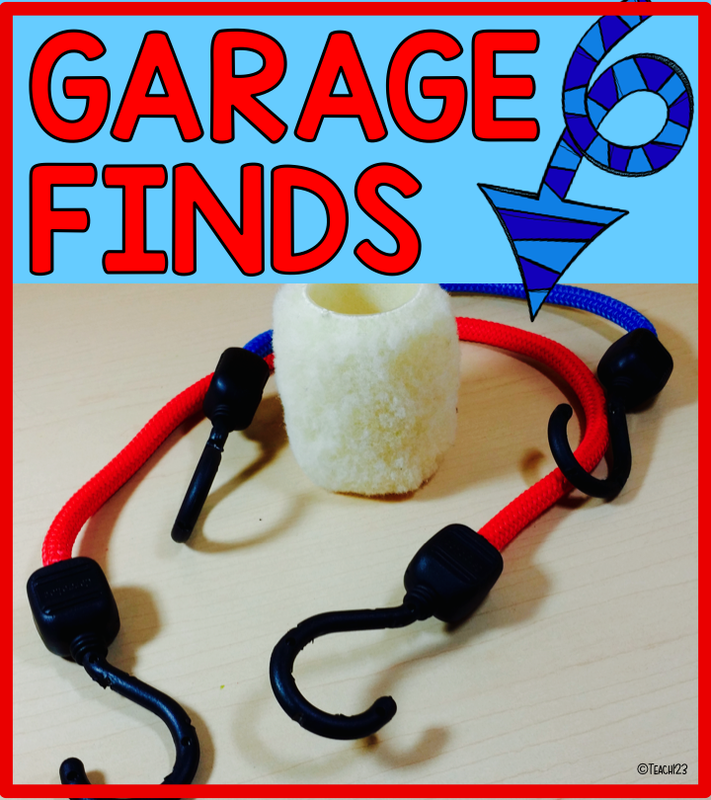 Hook each end of the bungee cord to thumb and stretch. Then do the same thing with the other fingers. Fun way to stretch. 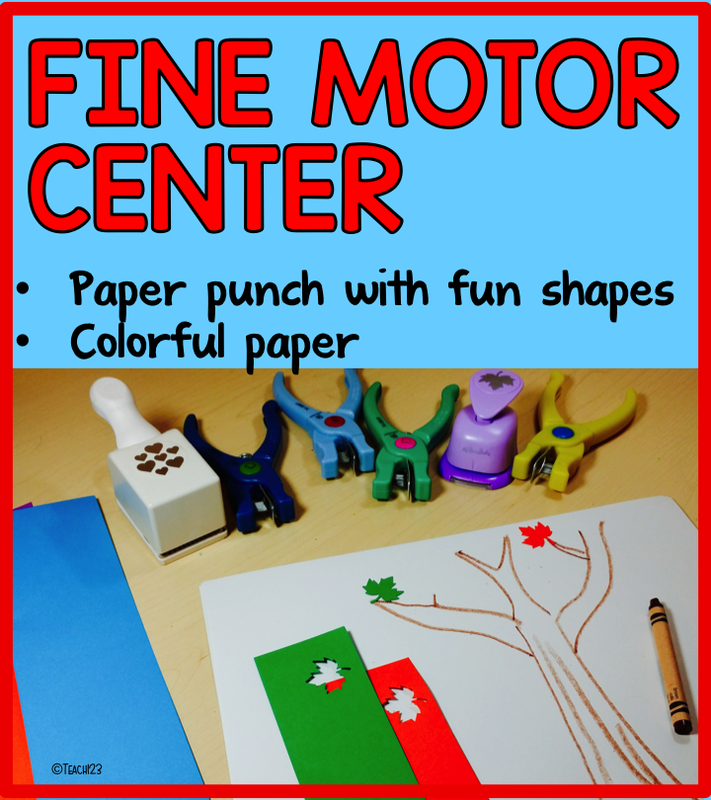 Paper punches in a variety of shapes are an easy center to set up. Cut strips of colorful about 2 inches. Let your students punch out a bunch of shapes, glue them on paper, create a picture, and write a story. This is also a fun center to set up for your early finishers. Looking for more ideas? I have a Pinterest board full of great ideas. « Sunshine Committee – Cyber Style! The restroom tip is wonderful, thank you for sharing all your great ideas! I was so happy to read your post. I thought it was just me being frustrated at the beginning of the year. I am going to try these ideas for all. Goodness knows, playing video games does little for strengthening little hands.